Born in the Democratic Republic of Congo and raised in Belgium, BALOJI's highly original career is summed up best by his crossover of art, style and culture. A glimpse at the surface shows a strong ten year narrative of albums ranging from his 2007 release "Hotel Impala" to most recent "137 Avenue Kaniama". Looking further back however shows a much longer history to the flamboyant and formidable artist. He began his musical career as an MC for Belgian rap crew Starflam before quitting the music industry altogether in 2004. A letter from his mother two decades after their last contact sparked a return to music and a return to his African roots. 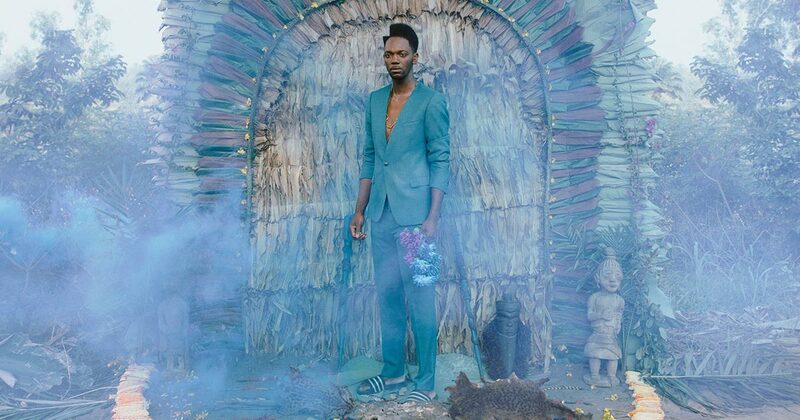 From this new step in his career came "Hotel Impala" and the fresh beginning of BALOJI as we know him now. Mixing Congolese soukous with rap, dashes of American soul, funk and R&B, he employs an artist-witness approach to his music. Living in-between two such varying cultures opens up a completely unique perspective on the fractures of our world with his music endeavouring to convey this. Music is where Baloji has most made his name but it's far from the end of his creative capacity. An artist in motion, a musician, poet, film director, a man of images and ideas, he directs his own videos and will release a feature film in 2019, for which he has written the screenplay. His latest album "137 Avenue Kaniama" brings together these creative powers not only musically but through his first fictional short film Avenue Kaniama (featured below). We can expect a vibrant live show from BALOJI and his band at WOMADelaide 2019, not only from the synthetic afro beats they produce but from the perpetual motion of his limbs on stage and of course his incredible fashion.